There is a proven investment quote: Don’t put all your eggs in one basket. In this quote, the eggs are individual investments and the basket is your overall investment portfolio. The simple logic is that if you lose the basket, your investment portfolio will be wiped out. Spreading your “eggs” around reduces the possibility that bad luck for a single investment will adversely affect your overall portfolio. Risk-averse investors clearly benefit from diversification (and sleep better at night). However, some investors seem to rebel this logic. Most of us have heard investors flaunting about the huge gains they have achieved by placing a large wager on a single stock or other investment. The reality is that we never hear those same investors speak as loudly when their performance is not so starry. Another quote applies here: In Cricket, swinging for a “Six” often leads to a “dismissal.” For the rest of this note, let’s assume that we agree that diversification is a good thing. Simply stated, diversification results when you spread your investable funds across different assets. By chance, some will do well when others do poorly, thus reducing the overall variance (i.e., risk) of your portfolio. There are countless methods of achieving diversification. Naive diversification is done by simply randomly choosing a set of assets for your portfolio. The law of large numbers makes this work. If you have 20 randomly chosen stocks in your portfolio, some will go up when others go down, thus reducing overall portfolio risk. But we can do better. To maximize the benefits of diversification, we should look for assets that tend not to move together. We can mitigate risk more efficiently this way (i.e., achieve the same level of risk reduction with fewer separate investments). The key to efficient diversification involves the statistical concept of correlation. Correlation refers to the relationship between two variables. The Correlation lies between 1 (which means two assets always move up and down together) and -1 (which means two assets always move up and down in opposite direction) .For correlations between these values, the lower the correlation, the more diversification we achieve. Consider the stocks in Table 1. Each stock has its typical ups and downs. A thing which you all will note that Stocks 1 and 2 move together (positive correlation) whereas Stocks 1 and 3 move opposite one another (negative correlation). Table 2 shows the values of two portfolios. First Portfolio assumes initial equal INR 100,000 investments in Stocks 1 and 2, whereas Second Portfolio assumes initial equal INR 100,000 investments in Stocks 1 and 3. Both portfolios are counterpoised to 50% weights in each stock each year. First, note that first Portfolio is much more volatile than second Portfolio. It fluctuates from a low of INR 208,680 to a high of INR 243,112. In contrast, second Portfolio climbs steadily in value. You would sleep much better at night with the second Portfolio. The minor volatility of Second Portfolio is a direct result of the lower correlation between Stocks 1 and 3 relative to that of Stocks 1 and 2. Second, note that Second Portfolio has a higher ending value than First Portfolio despite the fact that the stocks in each portfolio have the same period-by-period returns. This result is due to the annual rebalancing of the portfolios. In second Portfolio, the negative correlation between the stocks, combined with counterpoised, causes more weight to be put into a stock after it has fallen and less weight after it has risen. Over time, this results in a higher ending portfolio value. The bottom line is that a well-diversified portfolio reduces risk without sacrificing returns. The key to efficient diversification is syndicating asset classes that have low correlations. Finally, adding asset classes that are highly correlated with those already in the portfolio is superfluous, achieving little benefit and adding to costs. 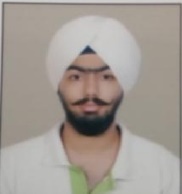 Bineet Raj Singh has done B.Com (Hons) from University of Delhi, Delhi in 2017. He has a keen interest in the capital markets and has been working in this field since June'16.